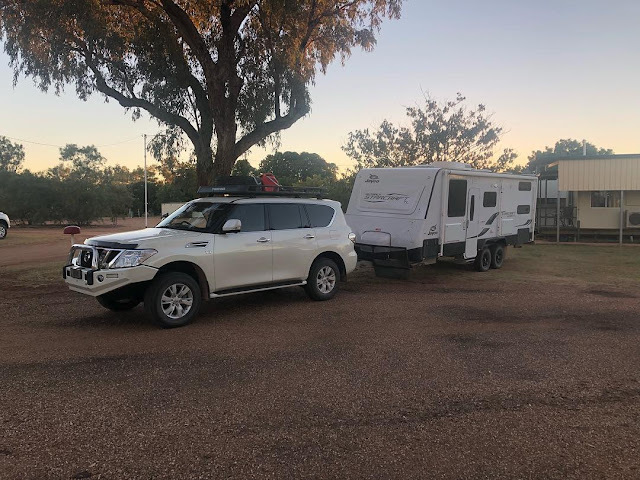 Before leaving Birdville we filled up with water and fuel and Colin wanted to visit the famous Birdsville Bakery. On his wish list was Camel Pie! However we were too early for these so he had to settle for a Kangaroo Pie - not bad but not what he thought it might have been. More gravel roads for a bit then back to the black stuff. We stopped at some ruins to air up. 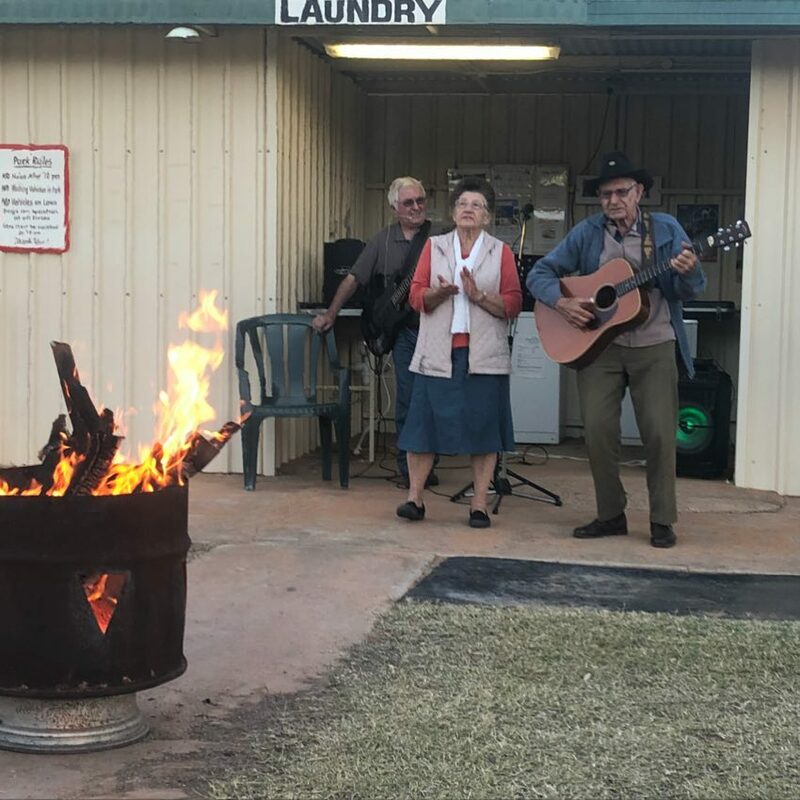 We stayed at the Boulia Caravan Park - and another encounter with Travelling Mike the singer. This time though some of the audience also put on a show. They were in their 80's and still travelling and performing.